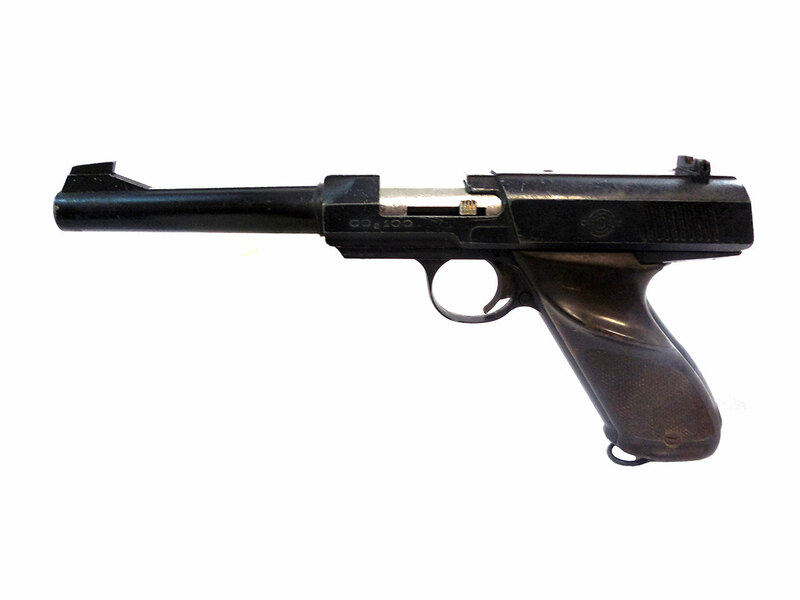 The Daisy 100 is a CO2 powered BB caliber pistol. 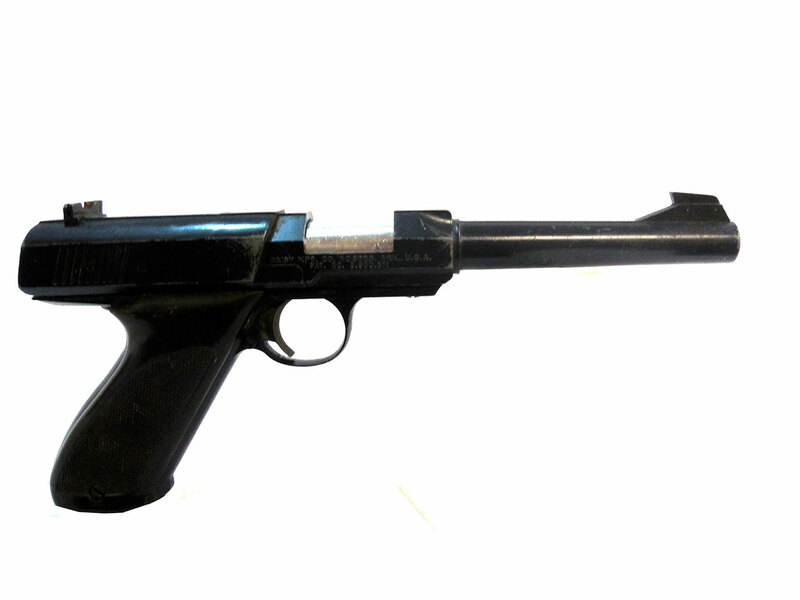 This gun is semi-auto, and has a 200-shot capacity. 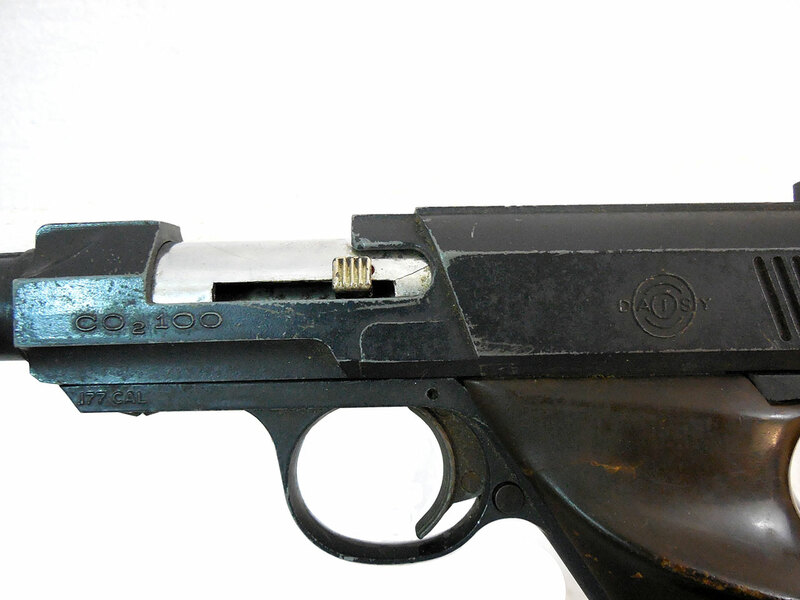 This gun does not work, and it may not have all of its original parts. 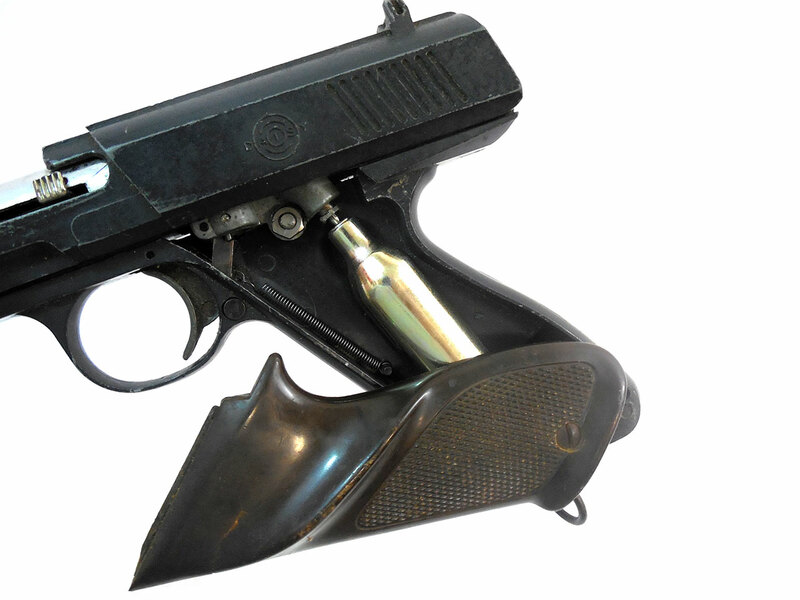 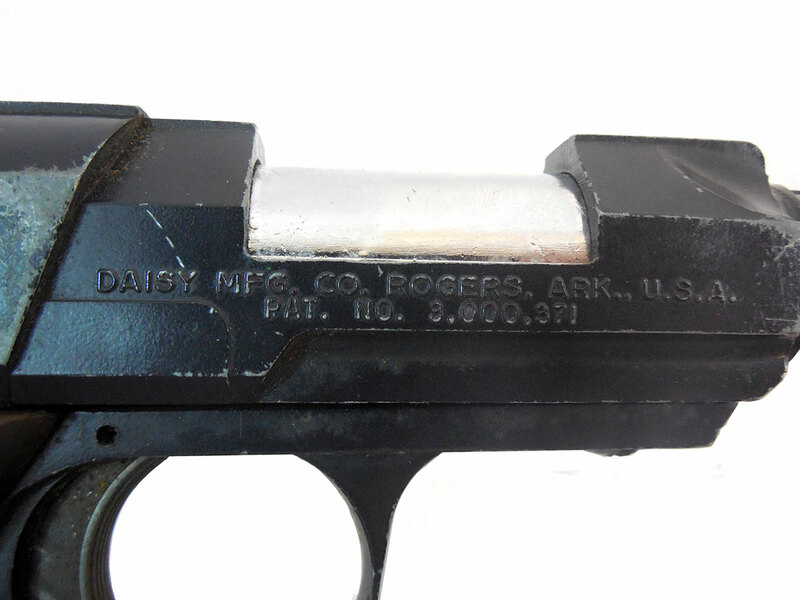 This Daisy 100 retains 75% of its original finish, and its plastic brown grips have small amounts of ware, and the left one will not stay in place.